It can be overwhelming to discover a severe injury or death, especially if it is that of a loved one. But it is extremely important to maintain a safe distance from all biohazardous materials for your own safety. 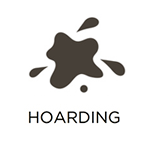 As they can cause severe illnesses, allow the cleanup job to be handled by a professional. RestorationMaster is available 24/7 in the St. Charles, MO area to provide professional biohazard cleanup services. 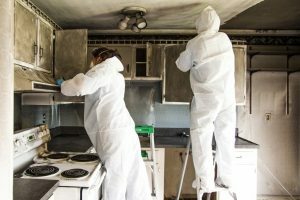 Using professional cleaning agents to restore the scene of a violent crime or injury, our technicians will work with law enforcement and your insurance company to allow as much peace of mind as possible during this stressful time. Discovering a scene filled with bodily fluids and other biohazards can surely be emotionally and mentally scarring, but it is essential to avoid all contact. Ensure to call law enforcement right away to gather all needed evidence for the investigation. But unfortunately, they are not responsible for the cleanup job, and you should never have to clean them yourself. Instead, contact RestorationMaster. 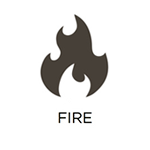 Each of our technicians is licensed and specifically trained to remove biohazards and disinfect the affected area. Our commercial cleaning products are designed to kill bacteria while removing tough stains from the affected surfaces. We will also work with law enforcement in the case of a crime scene, careful not to disturb any evidence before the investigation. 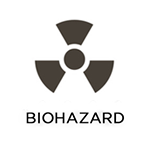 Removal of biohazards: All biohazards, blood, and bodily fluids will be removed, stored in approved containers, and disposed of properly. 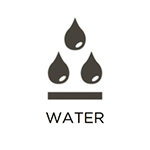 Disinfection: The affected area will be effectively disinfected, eliminating all bacteria and pathogens, including the stains to restore a healthy environment. 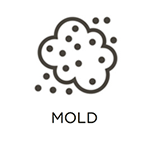 Deodorization: We will use powerful deodorizers to remove any strong, lingering smells emitted from the biohazards. Proper Disposal: The biohazardous waste will be transported in medical containers to an approved facility for proper disposal. Working with Insurance: RestorationMaster will work with your insurance company if you chose to file a claim, allowing you as much peace of mind as possible. Family Support and Assistance: In the case that a loved one was injured or lost, we will work with respect and compassion around grieving families. We can also recommend local family counselors. Licensed and Experienced: Our technicians are licensed and experienced to handle all parts of the cleaning process. We also ensure to follow all local and state government laws. While we don’t expect to come across a scene filled with biohazards and especially do not prepare for them to happen to us, it can be difficult to decide what to do in this situation. But it is most important to avoid contact at all costs, calling an emergency service to handle the cleanup process right away. RestorationMaster is available 24/7 at (636)492-3030 in the St. Charles, MO area to provide emergency biohazard and crime scene cleanup services.